Porsche 997 is the factory designation for the Porsche 911 Carrera manufactured by Porsche between 2004 and 2012. Production of the Carrera and the Carrera S variants began in early 2004. 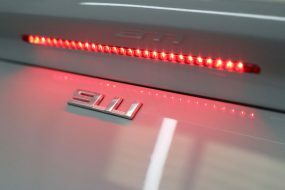 A popular model of modern 911, the 997 combines the exhilaration of a performance car with the practicality and comfort desired in a daily driver. This particular 997 had been used regularly for motorway driving as the previous owner had worked up and down the country. On purchasing it our customer realised the paintwork was looking very jaded and, not surprisingly, wanted the history of every motorway mile and every ‘automated car wash’ removed from the surface! 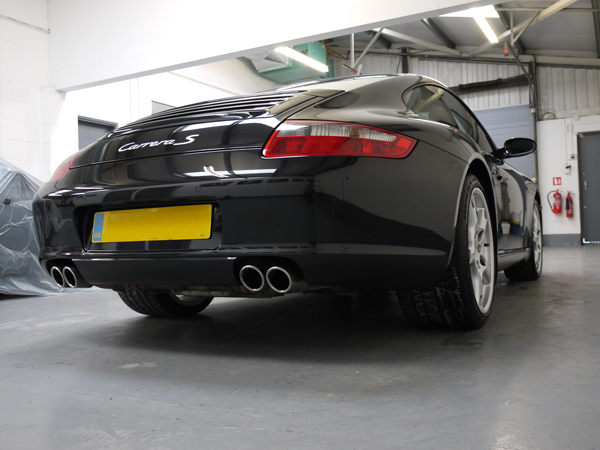 This 997 is a classic example of what ‘detailing’ offers the customer. 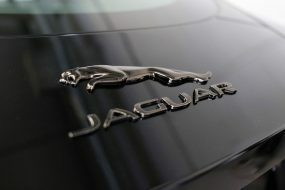 Many of us buy our ‘pre-loved’ cars on the basis of two things: service history and how the car looks. So often the history might look good but if the car looks tatty it’s an immediate turn off for most buyers and will immediately become a key negotiating point when it comes to sale price. 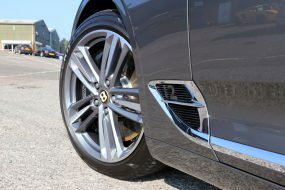 It affects confidence too – if a car looks as though it’s been well maintained then prospective buyers will be more inclined to accept the mechanical side has received equal care and attention. 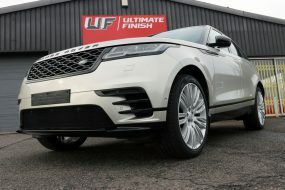 As always, the detailing process starts with a pre-wash using Ultimate Snow Foam, to remove the larger particles of dirt from the paintwork, followed by a thorough wash using Swissvax Car Bath and rinsed with an Aqua Gleam deionising water filter. 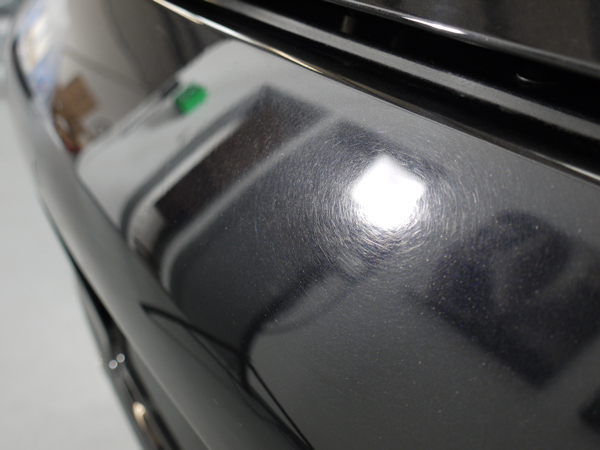 Door, boot and bonnet shuts were all cleaned using Meguiar’s All Purpose Cleaner. Patted dry with Swissvax Micro Dry Wonder Drying Towels the Porsche was brought into the studio and the wheels removed for refurbishing. 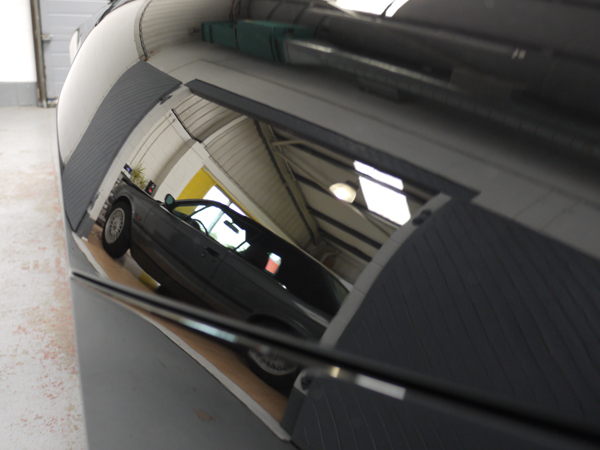 Before starting work our Master Detailer inspected the paintwork using the Delfesko PosiTest Paint Depth Gauge and a 3M Sun Gun Colour Check Light. 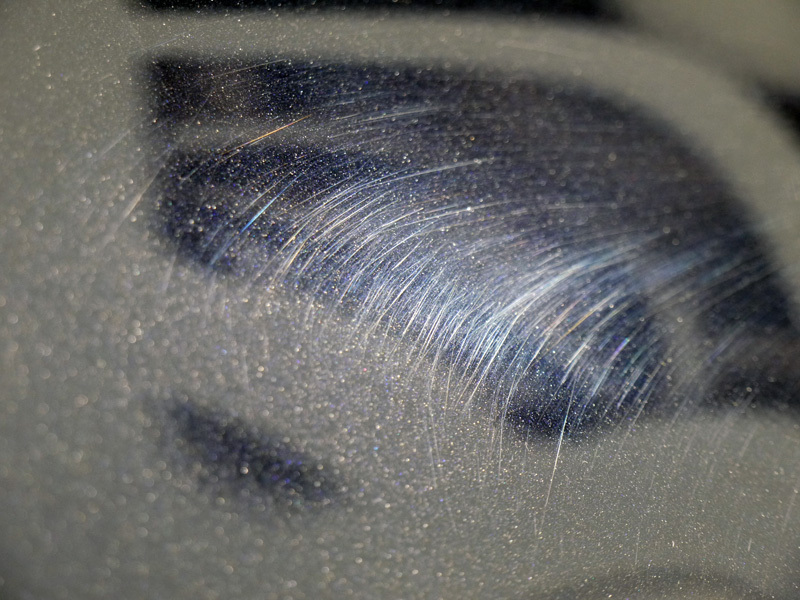 The paintwork appeared fairly even in thickness indicating it had not received a re-spray. The Sun Gun showed all the swirls and scratches up even more clearly! To remove the severe swirls our Master Detailer selected the FLEX PE14-2-150 Rotary Polisher, a 3M Yellow Polishing Pad and SCHOLL Concepts S3 Gold. 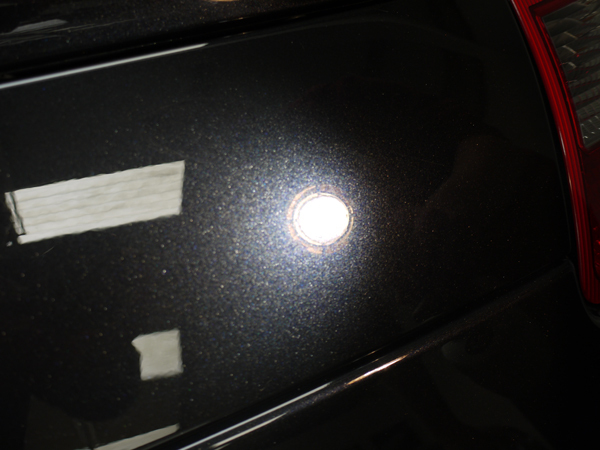 The enhancement process completed the paintwork was refined using a 3M Blue Finishing Pad and 3M Ultrafina SE Polish to bring a full shine to the black metallic paint. With the paintwork now looking spectacular it was time to protect it. 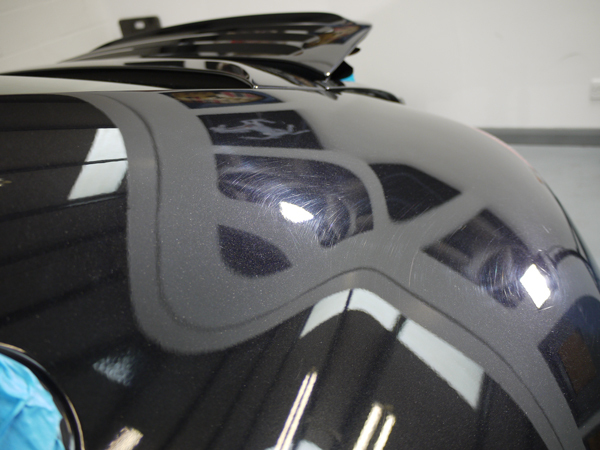 22PLE VX1 Pro Signature Glass Coat is an optically clear sealant which, once applied to the paintwork and left to cure, dries as hard as glass. This offers an ultra hard, shiny, dirt repellent and hydrophobic barrier highly resistant to scratching or degradation by UV or harsh wash chemicals. 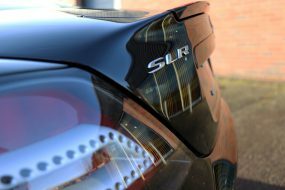 In order to allow the sealant to bond fully the panels must be completely free from all polish residues, so IPA solution was used to ensure the paintwork was completely bare and ready to accept the sealant. Once applied the initial curing takes around 8 hours, so in the interim attention was turned to other areas. The brushed aluminium exhaust tips were cleaned using zero grade wire wool, the tyres were treated with Swissvax Pneu and all the glass was cleaned with Swissvax Crystal Glass Cleaner. The newly refurbished wheels were treated with 22PLE VM1 Rim & Metal Coat to protect them from brake dust build up. 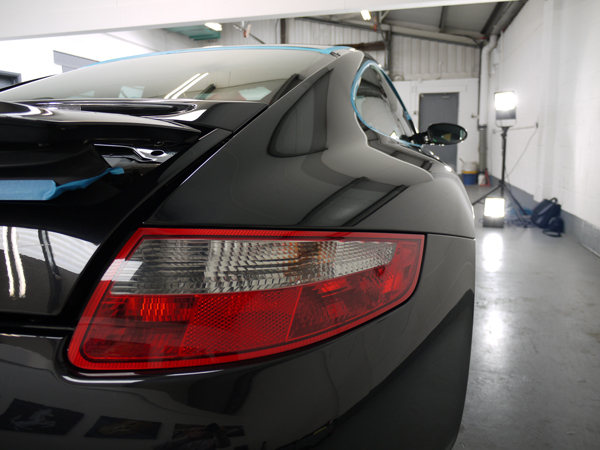 Once the VX1 Pro Signature Glass Coat had cured the Porsche was treated to a coat of Swissvax Crystal Rock to really deepen the wet look shine.